While Taylor’s “big stick” Treasury Laws Amendment (Prohibiting Energy Market Misconduct) Bill 2018 is the subject of Senate Standing Committee on Economics hearings (see submissions here) he is pressing on with establishing tenders for “24/7” reliable power in what appears to be a mad rush to lock in contracts before the expected “caretaker” period begins in mid April, ahead of the anticipated mid-May poll. Of the 66 proposals received, 10 include new coal. According to the AFR Taylor has all but confirmed the Morrison government is prepared to underwrite new coal-fired power stations. The proposals mostly include gas, but there is some pumped hydro, plus one from Sanjeev Gupta with a $1 billion proposal for solar with storage. However, Taylor is known to think we already have too much wind and solar in the system. 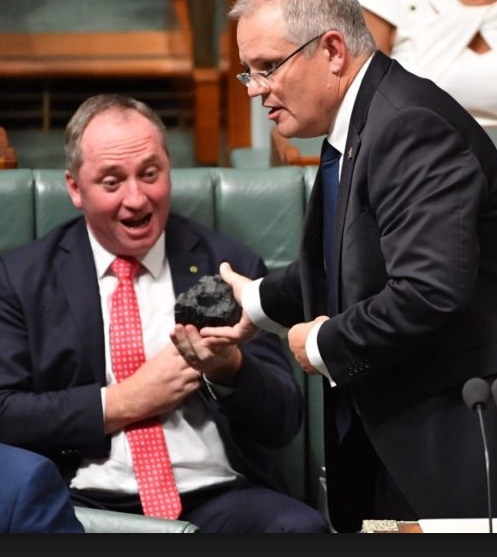 and is desperate to commit to new coal before the caretaker period of the next election. This will involve Commonwealth underwriting of risk to the extent of $7 billion, a reckless notion when the world is almost certain to realise before such a plant can be built and commissioned that new coal can no longer be tolerated. Perhaps even worse, having the Commonwealth enter the energy generation market in such a direct and overt way is to completely disrupt state planning, for example in Queensland and Victoria, both of which have vigorous programs of creating new renewable power. The Australian Energy Council, representing 23 major electricity and downstream natural gas businesses operating in competitive wholesale and retail energy markets, have said the Taylor’s policies, and lack of credible emissions reduction policies, make the generation sector essentially uninvestible. The Council believes that Commonwealth government action will actually reduce private investment in response to the market, thus leading to even more government intervention, with increased prices and adverse consumer outcomes the result. Queensland considers Taylor’s moves as an attack on the state’s sovereignty (see their submission to the senate hearings above), and points out that there was zero consultation with the states. 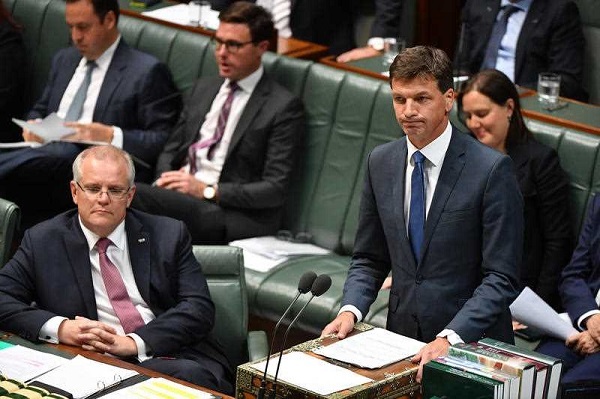 after his federal counterpart Angus Taylor blocked his bid at yesterday’s COAG meeting to discuss a national roadmap to reaching zero carbon output by 2050. Harwin has said that generation companies which had been planning to invest earlier in 2018 are now getting cold feet after Taylor’s ascension to the ministry post the dumping of Malcolm Turnbull. Taylor’s efforts to reduce risk are adding to risk, because it is obvious to anyone with half a brain that fossil fuel emissions will have to stop long before the 50-year time frame you have to work in to build new coal. “Yesterday” in the above quote was the COAG Energy Council meeting on 18 December, which Taylor closed down rather than discuss matters raised by NSW. It appears that the Commonwealth minister COAG Energy Council is the permanent chair. I suspect this arrangement was put in place because the Commonwealth was the only member not involved in the provision of electricity generation apart from its historic share in the Snowy Mountain scheme. Ironically now he appears to think it is his meeting. Back in my day, in such interstate co-operation, the Commonwealth was seen as just one member of the group, and the chair was taken by the host. Possibly the Commonwealth now funds a secretariat, which supports the group and enhanced continuity, but giving the Commonwealth the chair works against the co-operative spirit which is meant to underpin these meetings. Nevertheless, COAG groups still run on consensus, not on majority vote. The new boy with the big stick is showing no regard for due process. Today EnergyAustralia chief Catherine Tanna labelled the ‘big stick’ bill ‘desperate and dangerous’. She told the Senate committee it is a “desperate and dangerous” measure by the Morrison government to “look tough” ahead of an election. 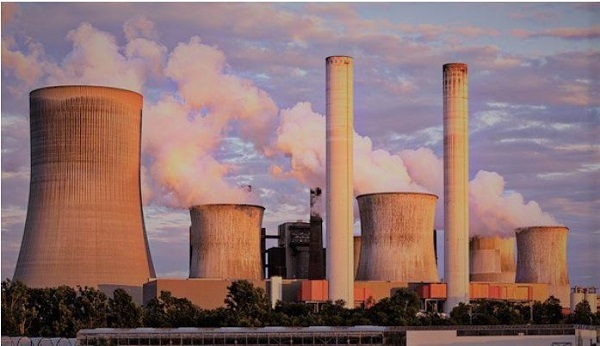 Ms Tanna, who is also a board member of the Reserve Bank of Australia, said that if enacted, the legislation would add a layer of uncertainty on top of the policy vacuum that clouds Australia’s electricity sector. Ms Tanna’s comments build on the criticism of the bill on Tuesday by chief executives of other two members of the “big three” generator-retailers, AGL Energy and Origin Energy, who warned the measures would scare off investment needed to replace and renew the country’s energy-supply system. Energy Security Board chair Kerry Schott has also voiced worries about the impact of the proposed measures on investment needed to support the transition towards a cleaner power supply. The Grattan Institute, the Business Council of Australia and Australian Industry Group all lined up against the bill. While there is some concern about bad behaviour in the industry, virtually all industry players and interest groups are suggesting that the focus should be on the recommendations of the ACCC report on energy pricing, which did not recommend ‘big stick’ disinvestment. AEMO has been charting the future of the NEM, so that the participating states and the industry can invest in a smooth transition to a clean energy future. Morrison has effectively put the Coalsheviks within the Coalition in charge. Led by Taylor they are being hugely disruptive, based on the notion that emissions don’t matter, that prices and keeping the lights on do, but completely misunderstanding the role and potential of renewables and the need for flexible dispatchable power, rather than a false notion of baseload. Also creating a false sense of crisis in which they cast themselves as saviours. It amounts to a mixture of ignorance and stupidity which is making us a laughing stock around the world. Malcolm Turnbull dumped the NEG (National Energy Guarantee) because he thought it the only way of keeping the Liberal Party together. The real blockage is the Nationals. 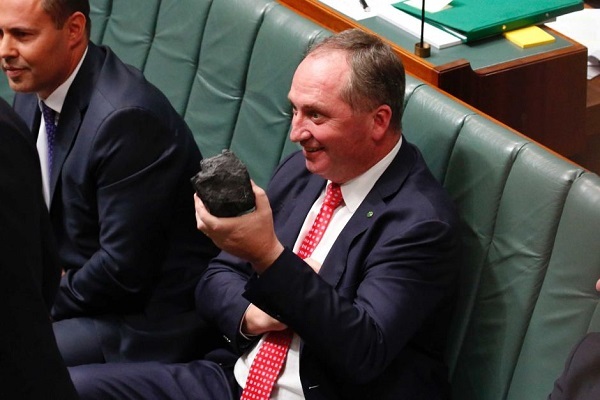 Joyce is no longer in charge, but the climate denialists reign supreme. “Weather Gone Wild” has found climate change is increasing the frequency and/or severity of extreme weather and that Australians are suffering as a result. Australia’s fossil fuel generators broke down on 135 different occasions in 2018, with coal generators failing once in every three days and new “HELE” technology favoured by the federal Coalition government failing more often than the country’s ageing black coal fleet. The Australian Senate Economics Legislation Committee Treasury Laws Amendment (Prohibiting Energy Market Misconduct) Bill 2018 public hearing transcripts are available here. Dr Kerry Schott AO, Chair – Energy Security Board and Mr John Pierce AO, Chairman of the Australian Energy Market Commission, were examined in the Feb 5 public hearing in Sydney. EnergyAustralia’s chief Catherine Tanna was examined in the Feb 6 public hearing in Melbourne. If Taylor thinks we need coal to provide baseload power and gas to provide peaking power he could do something more useful like investing in solar thermal towers with molten salt energy storage and back up molten salt heating. Can be used to provide both baseload and peaking power as required with enough relatively cheap storage to last for days. I guess he would see not using coal and doing something about greenhouse emissions as a negative but at least he would get some praise from people who don’t usually praise him. Geoff, thanks for the link. It is very clear that the Commonwealth is acting outside the spirit and indeed the letter of the legal arrangements that the National Electricity Market is based on. I was impressed with the performance of Kerry Schott from the ESB and John Pierce of the AEMC. Chris Ketter, Labor Senator, was also well-prepared and sharp. He earned his keep. The chair was Liberal Senator Jane Hume, who clearly did not understand how electricity prices are set. Schott did make the point that of most concern was the disincentive to investment that arbitrary atmosphere of Commonwealth intervention and the mooted downgrading of the value of network assets would have when the networks need more investment. Brian: If I made the comment I really wanted to make on this topic, it could bring a defamation action on you so I’ll refrain from making it …. however, I wonder how many other ordinary people in Australia are seriously thinking about how they can find alternatives to using electricity in their daily lives, and not just thinking of alternatives to coal-fired electricity?? Graham, around here, in this suburb, and many others as far as I can see, refurbishments and mega mansions are being built so there is a tiny back yard. You may be able to walk along one side of the house to get from the front to the back. The under roof area is massive and it’s airconditioned. In the tiny back yard there is likely to be a swimming pool. Aircon started to appear on houses where I work in the mid-1990s. Now I can’t think of one that doesn’t have it. Today in the AFR there is an article Taylor outraged at AGL’s profit. Seeems he’s apoplectic because AGL has just announced a 10% increase for the first half year. So I did a bit of investigation. If you read the rest of the article on p22 as distinct from what is on the front page, JP Morgan analyst Mark Busuttil calculates that the profit in the next half year will be down 10%. I turned up Commsec research. First up, two brokers have AGL as a ‘hold’, one has it as a ‘strong sell’. No-one there has it as a buy. Further investigation shows that earning per share are at 242 cents. The consensus forecast is that in three years time they will be 134.1 cents. Doesn’t sound like a ‘buy’ or even a ‘hold’. However, they pay a relatively small proportion out as a dividend, and that has been smoothed and gradually increased over the years. When you look back, the current year’s net profit is almost exactly the same in dollar terms as it was 10 years ago. So in real terms slowly going backwards. In each of the intervening years, profits have been lower, one year a loss, and quite volatile from year to year. Now when planning for the future they have a new factor to think about – the state of Taylor’s liver, his gall, which side he got or fell out of bed, what he had for breakfast, and the state of his emotions generally. And his longer term prejudices which are impervious to information or rational reasoning. Taylor is clearly unfit to be a minister of the crown. BTW I’m not sure Rod Sims at the ACCC is any better at reading company research either. And the pollies, most of them, might understand negatively geared houses, but it’s rare to hear anyone who isn’t ignorant and confused about the share market. Environmental groups are cheering a decision in NSW’s Land and Environment Court that found the emissions of greenhouse gases and resulting climate change from a proposed coal mine were among the reasons to reject the project. Brian Preston, chief judge of the court, handed down his judgment in a case between Gloucester Resources Ltd and the NSW Planning Minister in Sydney on Friday. He concluded the mine project was “in the wrong place at the wrong time”. The coal dominoes are starting to fall. I was impressed with the performance of Kerry Schott from the ESB and John Pierce of the AEMC. I’ve seen Kerry Schott in action first hand at the 18 June 2018 public hearing conducted by the NSW Parliament Select Committee on Electricity Supply, Demand and Prices in NSW. I have the impression she knows how to play very well. Senator KETTER: I’m just interested in the policy process. You’ve cautioned about a chaotic approach to energy policy, and you’ve said that that will result in consumers paying more than is necessary. Are you concerned at the moment that there is a chaotic policy development process going on? Dr Schott: I am on the record for saying it is anarchy actually, but it does seem to be getting better. At the COAG Energy Council there is definitely a recognition amongst all energy ministers there that the increase in wind and solar companies coming into the system must be accompanied by more firm or dispatchable power, and also a recognition that we must move to change the configuration of the grid over time. So there is movement on those fronts. What the reliability obligation that we are all working on does is ensure that the loads that the retailers sell—they must have that load covered by power that they can provide. That will cause more contracting, particularly of firm power where it’s needed. That will bring a certain amount of order. Along with some of the other measures in the Finkel review, like notice of generator closure and the like, it gives us time to respond to matters. One of the areas going forward that needs more attention is the integration of the increasing amounts of rooftop solar that are going into the system. We’re in a position now where Queensland, WA and South Australia have roughly 30 per cent of their homes with rooftop solar providing quite a large amount of power, not into the market but to users. Increasingly, we need to work out how to use that power to make the distribution system more efficient. Senator KETTER: When it comes to orderly development of policy, I’m interested in your views about this bill, how it was put together, the degree of consultation that occurred and the ability for participants to contribute to the outcome. How does the development of this legislation compare to what you might describe as typical or normal development which is commensurate with the significance of this sector? Dr Schott: It was developed very rapidly, as is well known, and the consultation that occurred on the bill was limited to a small group of participants. That’s all I know about it. In your view, if we don’t get this right, what is the downside for us? 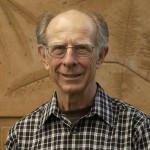 Dr Schott: If we don’t get it right, the downside is a very expensive power system because nobody will want power not to be delivered and it will then be delivered in very expensive ways rather than through an orderly retirement of coal and orderly introduction of lower emission power and backup through pumped hydro, batteries and other technologies of that kind. Dr Schott: Yes, I was particularly concerned about investment in the networks. The transmission system needs a lot of investment in it and, as the distribution networks develop to integrate the high amount of rooftop solar that we have on warehouses as well as on homes, all of these things require investment. Expecting companies to do that in an environment where they may have assets divested or assets written down is not helpful. Senator KETTER: The vast majority of submitters to the inquiry agree with that assessment. You must wonder what the federal government is playing at: Lack of consultation with energy industry stakeholders; rushed legislation that effectively discourages new investment in the energy market; increasing risks of less reliable and more expensive electricity supply? Does the federal COALition government want to wreak Australia? NSW Labor says a decision by the Land and Environment Court to factor in the impacts of climate change when considering whether to approve a coal mine was “potentially extremely important” for future planning. The court on Friday rejected a bid by Gloucester Resources to build an open-cut coal mine within a few kilometres of the Mid-North Coast town of Gloucester. The Rocky Hill mine was “in the wrong place at the wrong time,” Justice Brian Preston summed up in his judgment. It looks like a major legal precedent has been set in NSW that all future planning of coal mines must take into consideration the effect of GHG emissions contributed by the mine. It will be interesting to see whether Rocky Hill developer Gloucester Resources will appeal to a higher court, or cut their losses. Doubtless there will be appeals and a flurry of lobbyists working to undermine the ratio decidendi before the arguments spread to other mine applications, notably the Galillee Basin. I’m not sure how powerful the decision is and to what extent it will be noted in other courts, but it should have at least some influence. And given the proximity of the coming federal election, it places both major parties at a crossroads – especially the LNP with their blind affinity for coal, and for Labor, a chance to tighten a noose around the LNP neck. Geoff H, as I explained in Weekly salon 9/2, GHG emissions was not the main reason for the appeal, but the judge was quite explicit that it was important in his finding. Certainly it was a first. It’s not like a high court decision obviously, but must carry some weight. “The NSW Land and Environment court has effectively ruled that coal – just like tobacco and asbestos – is bad for us,” Ms McKenzie said in a statement. In terms of thermal coal at least this puts the future of thermal coal in context. Coal used for metallurgical purposes is a more difficult issue at the moment because coke is needed for producing iron in blast furnaces. However, blast furnaces are not the only way to produce iron. As a matter of interest, can a corporation that’s unhappy with a ruling of the Land and Environment Court, take an appeal to a higher court in NSW? Senior Counsel Google informs me that appeals are possible. Of course. It’s a court. Coal used for metallurgical purposes is a more difficult issue at the moment because coke is needed for producing iron in blast furnaces. True, and a lot of “ renewable “ components like Silicon for solar panels and others that need that sort of heat to manufacture. 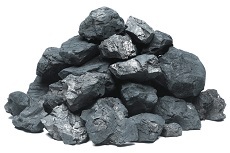 High temperatures may be achieved without combustion of coal. You are aware of that, Mr J, I’m sure. Yep, but what are you personally prepared to pay extra to end FF consumption ? At the moment FFs are the cheapest way, to what financial degree are YOU willing to pay extra as an individual ( the base component of every society). Silicon metal is produced in a number of complex and highly technical steps. First, the raw materials (quartz sand and charcoal) are placed in an electric arc furnace and heated to 2,000°-2,500°C. This forms silicon and carbon monoxide, takes between six and eight hours. The metal is then treated with oxygen and air to reduce the calcium and aluminium impurities. This produces metallurgical silicon. Metallurgical silicon can be processed in a number of ways, and the current most popular method is using the Siemens process. The Siemens process involves exposing the previously purified silicon rods being exposed to a gas, usually trichloridesilane, at high temperatures. The high temperatures cause the gas to deposit pure silicon onto the rods, while the chlorine gas is removed from the chamber (Wikipedia and Peak Sun Silicon). However, the Siemens process is very expensive, and requires a large amount of energy to be successful. A cheaper option is to upgrade the metallurgical silicon using high purity quartz in slag refining. A slag mixture containing SiO2 and CaO is often used for this purpose, as this mixture is suitable for removing boron and phosphorous, which are both essential to control when manufacturing solar wafers. More information on the chemistry behind slag refining can be found on our blog. Silicon with different specifications may use coke instead of charcoal as the reductant. Jumpy: I am willing to pay more for fossil free products to give my grandchildren the chance of a good life. Gosh Jumpy, are you still back at stage one denialism,..”its all going to cost so much BOOO”. The conversion phase from Fossil Fuel to all renewables is a level playing field for everyone in the same economy where the only impact is time, but measured against progressive destrution of all property I don’t think that matters. Mind you from this late stage the destruction of most property over the next 100 years is a certainty. And the question then is how quickly can people adapt, and do they really want to keep living in a humid oven hothouse. Birth rates will go down, suicides will go up, things that people today take for granted will be progressively degraded. A good example is the ever increasing prevalence of the Irukanji now reaching past Fraser Island and in the water for up to six months now. How good will that be fro the Gold Coast to have swim free beaches? That is now a certainty, it is just how soon. and power retailers also offer “green electricity” at a small premium…. Then, with an investment of less than $10,000 a family can have a very good solar pv set-up, and/or solar hot water**. The next big change I want to see, is somehow getting solar pv onto the roofs of rental houses, apartments; and houses owned by very low income Aussies. * Mr J might call it ‘virtue signalling’, but why should this turn into a p*ssing contest? ** and you save $ every day by doing so. Pay back period, 4 or 5 years? That’s a very healthy return on a modest investment, if you can afford to invest. Nothing wrong with practical approaches and making some progress. Renewables will be main source of global energy by 2040, BP says.